We deliver feature rich security solutions that work effortlessly alongside your daily routines, adding a durable layer of protection to sites, properties or equipment. We are committed to implementing a fit for purpose security solution that will ensure your construction project is delivered on time and within budget, preventing costly disruption to your productivity and overall project deadline. 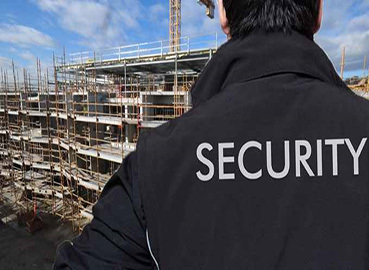 All our security guards are given full site instructions, the protocols are clearly laid out, and our management team monitors our own construction site guards..
We supply construction security guards to control the access to your construction site; we ensure that everyone that is on your site is allowed to be on site using checklists or a portable ID card system. Regardless of the length of the project, we provide specialist construction security guards with short notice.